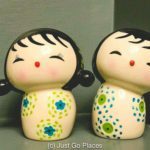 When the Lonely Planet announced the Kii Peninsula in Japan as one of the 10 regions to visit in the world in 2018, I wondered where it was. A quick look on the map showed that it was where I lived for 2 years. Oops. I had no idea it was called the Kii Peninsula. I have no excuse other than that I was 21 and stupid. Twenty-five years later, the Kii Peninsula has suddenly become cool which was news to my friends and I who had lived and taught English in Mie Prefecture. Back then, people in the big cities (including Nagoya) would make fun of Mie as the back of beyond, sort of like the Arkansas of Japan. We apparently learned to speak Japanese with a hick accent but, of course, had no idea we sounded like country bumpkins (much to the amusement of Japanese people in Osaka and Tokyo). 1 So, Where IS the Kii Peninsula? 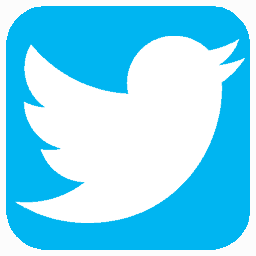 5.5 Join our growing community of readers! So, Where IS the Kii Peninsula? It’s the largest peninsula on the main island of Japan, Honshu. Although part of the Kansai region, it is separated from the Kansai plain by the Kii Mountains. 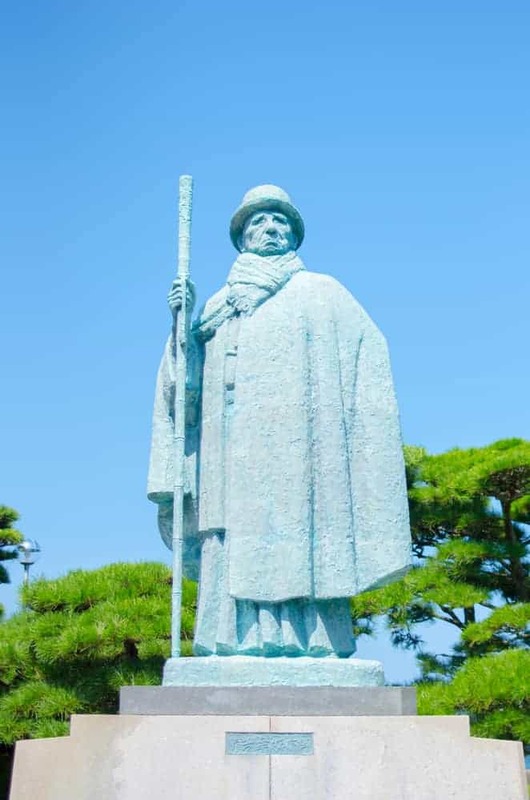 Historically a political and cultural force to be reckoned with, Kansai has 7 prefectures (including the major cities of Osaka, Kyoto, Kobe and Nara). The Kii Peninsula encompasses the southern bit of Osaka, and the prefectures of Mie, Nara and Wakayama. Having said Mie Prefecture was a bit rural, I would not have exchanged living there for one of the big Japanese cities. I really had the most wonderful time and met some wonderful people, especially locals. Not that many foreigners came to Mie Prefecture and so curious Japanese locals overcame their natural reserve to speak to me. 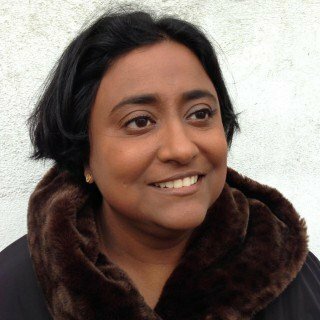 I was invited to lots of events, family homes etc. and got a real feel for the place. Although occasionally I did feel like a favourite pet. I lived in Suzuka City which is famous for the F-1 Race Track. Every year around race time, the city would be flooded with foreigners and then they would all disappear again. My race car enthusiast son can’t believe that I was obliged to attend the F-1 event and it wasn’t the highlight of my stay! 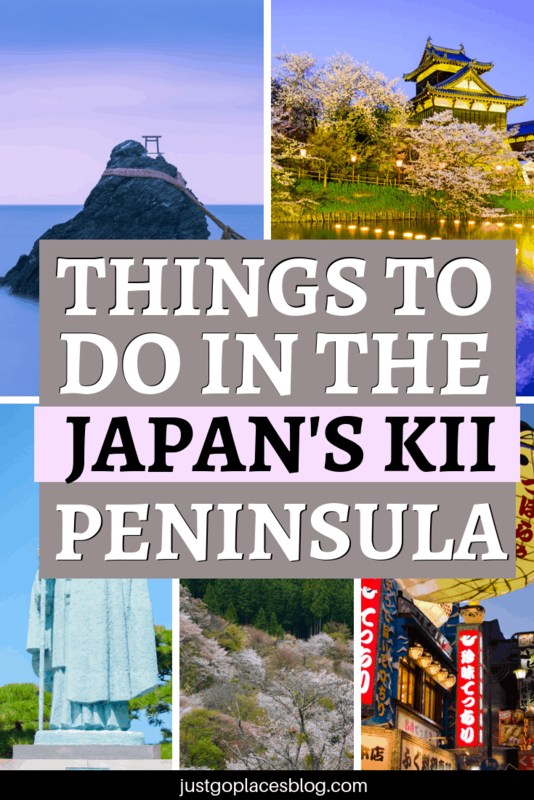 I am taking my family to visit my old stomping grounds in the Kii Peninsula next week – just in time for spring and cherry blossom season. Here are some the things I am planning on doing with them. Unlike our last family trip to Japan, we are focussing mainly on the Osaka area for two weeks and spending just a couple of days in Tokyo because my kids love that city. I’m hoping to transfer some of that Tokyo love to the places around the Kansai region. In addition to the usual JR Pass, we have purchased a Kansai Area Pass which gives us unlimited travel around the Osaka/Kyoto/Nara area. We had thought about driving in Japan which is very easy because we love road trips. 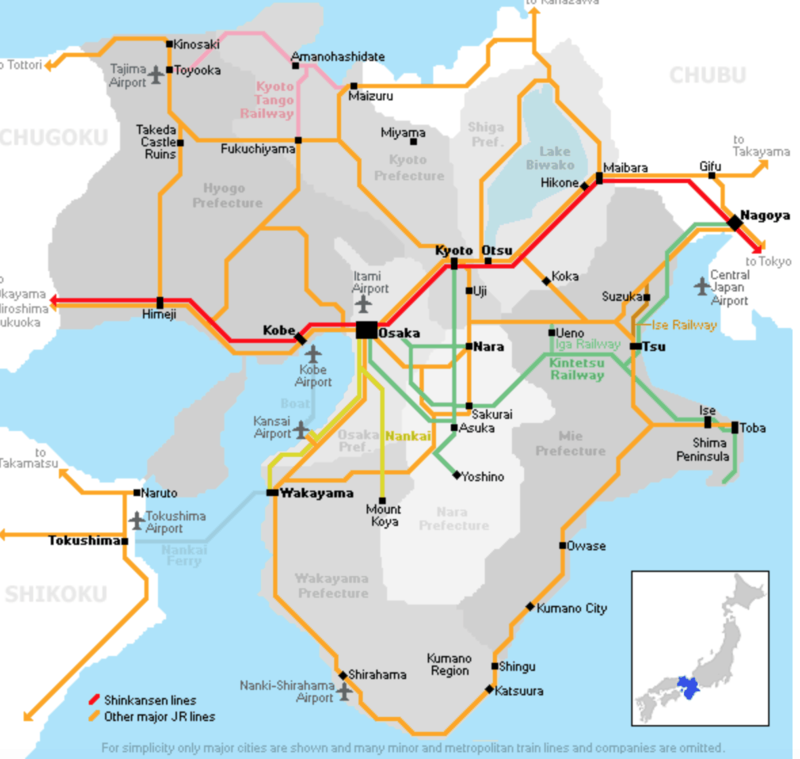 The Japanese rail system though is incredibly fast, efficient and easy to use that it seemed sill not to take advantage of it. Koyasan is a major Buddhist temple complex and a UNESCO world heritage site. 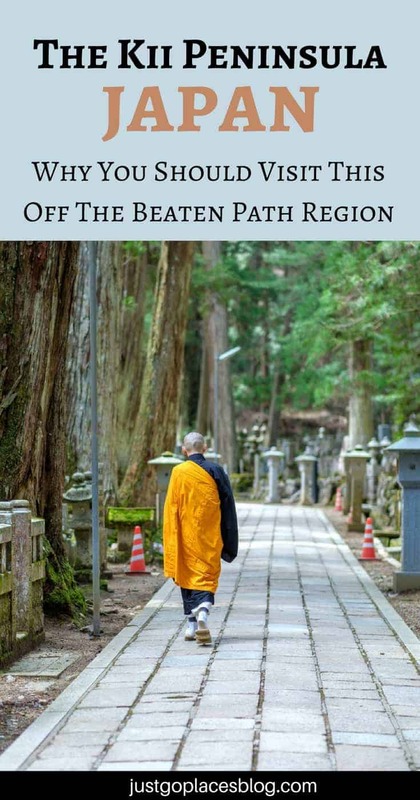 Kumano Pilgrimate routes encompass 3 major Shinto Shrines and is part of the UNESCO world heritage site listing. 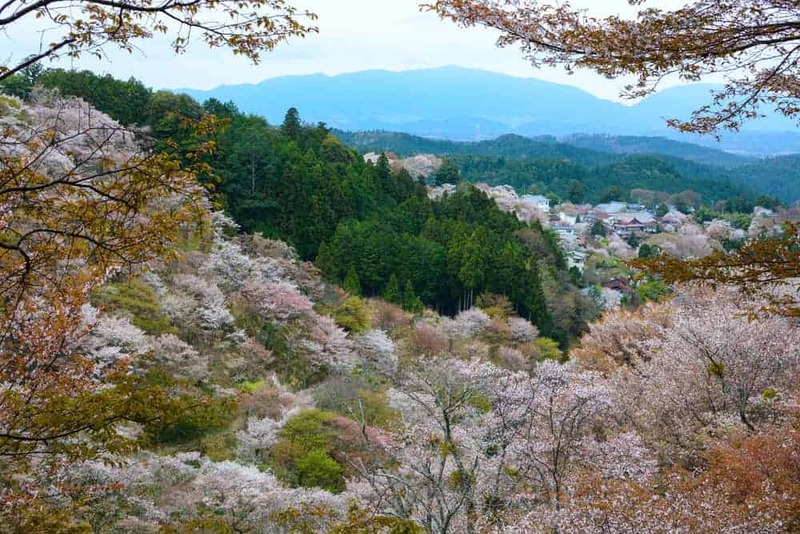 Mount Yoshino (also included in the listing) is Japan’s most famous place for cherry blossom viewing with 30,000 cherry trees on its slopes. Some of the 30,000 cherry trees planted on Mt Yoshino during cherry blossom time. The Grand Shrine of Ise is one of the most important places in the Shinto religion. It is part of the Ise-Shima National Park. Nearby you also get the Meoto Iwa sacred rocks which is supposed to represent the holiness of marriage in the Shinto religion. The larger rock is the male (natch) and has a shrine on top of it. Meoto Iwa are two sacred rocks near the Ise Shrine. The Mikimoto Pearl Island is located off the coast of Toba and is where the fist cultured pearls were produced by Mikimoto Kokichi in 1893. Sort of like our ogling of the Swarovski Crystal Museum in Austria and the Cartier Paris Exhibit, my daughter and I consider the appreciation of fine jewellery a must-do activity. Nara was the former capital of Japan and has got a UNESCO world heritage site listing. It’s now got a small city charm and a whole lot of assertive deer. 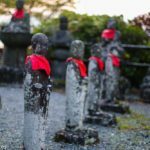 Since its been quite some time since I lived on the Kii Peninsula, I thought I’d get the input of a few travel bloggers who have visited more recently. Technically, Kobe isn’t on the Kii Peninsula but it is dear to my heart and very close to Osaka so I have included it. We used to party in Kobe until late and then crash in the all-night cinema near the train station for a late showing while we waited for a train back to Mie-ken. Back then, I wasn’t going to splurge on a hotel when a movie ticket was so cheap and I definitely couldn’t afford to order any Kobe beef in a restaurant. In addition, you should note that only the southern part of sprawling Osaka is in the Kii Peninsula. Details, details. 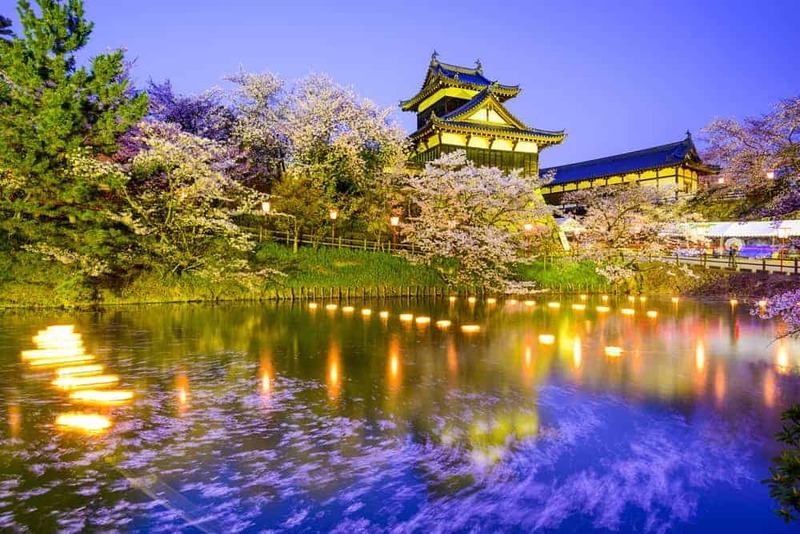 Located in the Kansai region of Japan, Nara was Japan’s first permanent capital. 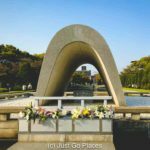 As a result, you’ll find a great number of historical sites here, including some of the oldest and largest Buddhist temples in Japan. It’s an easy getaway from Kyoto and Osaka, both about an hour away, and there’s plenty to do and see in Nara to keep you busy for a long weekend. 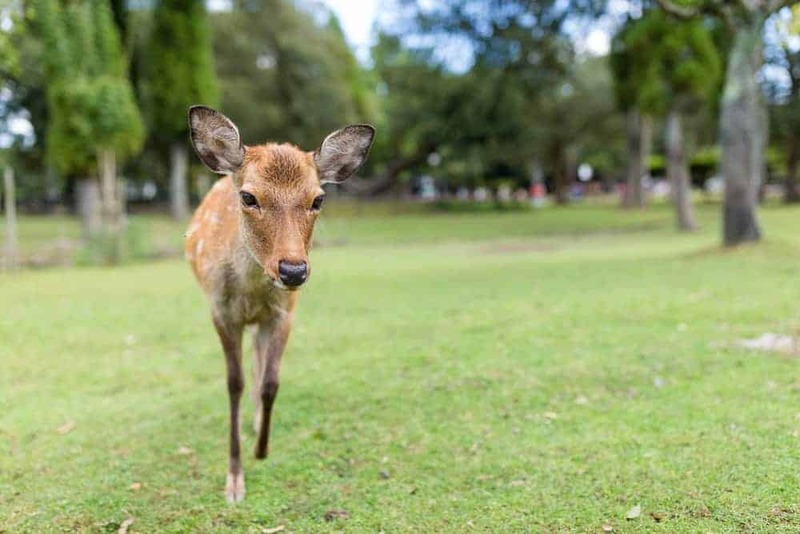 You can get a good dose of history and art in a visit to Nara, but the highlight of my stay there was a visit to Nara Park and seeing the sika deer that live there. There are about 1,200 deer who live there, wild and free roaming, and many people consider them sacred messengers of the gods. Although they no longer have sacred status, they are protected, and you’re likely to encounter them while you’re walking in the park. Vendor stands sell cracker packets so you can feed them, but fair warning – you’ll attract a crowd of them and the rush for the crackers can be intimidating when you’re not expecting it. Osaka will always lie beneath the shadows of the capital city Tokyo, and left behind for the prestigious Shinto shrines of nearby Kyoto. No doubt Osaka is a fascinating and exciting city to explore, and one which I will continue to come back to. It is mostly for the food which Osaka is somewhat stigmatized for. There is a saying that “Osaka wa kuidaore” which means ‘Osaka people eat ’til they drop’. 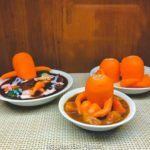 And the city is almost unbeatable when it comes to snacking and street food, where it is birthplace to many of Japan’s famous cuisines, such as the hugely popular octopus balls, takoyaki. 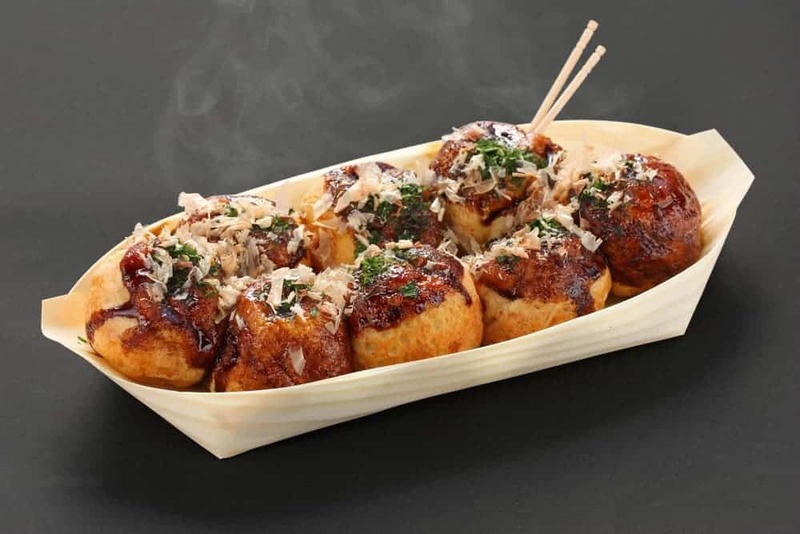 Takoyaki (little octopus meat balls) are a popular Japanese snack food. So the best place to find street food is the Dōtonbori Canal area, around the iconic Glico Man billboard and at the Ebisu Bridge. The main tourist area for visitors to Osaka this area is filled with buzzing arcades, flashing barges, and towering and brash neon billboards. 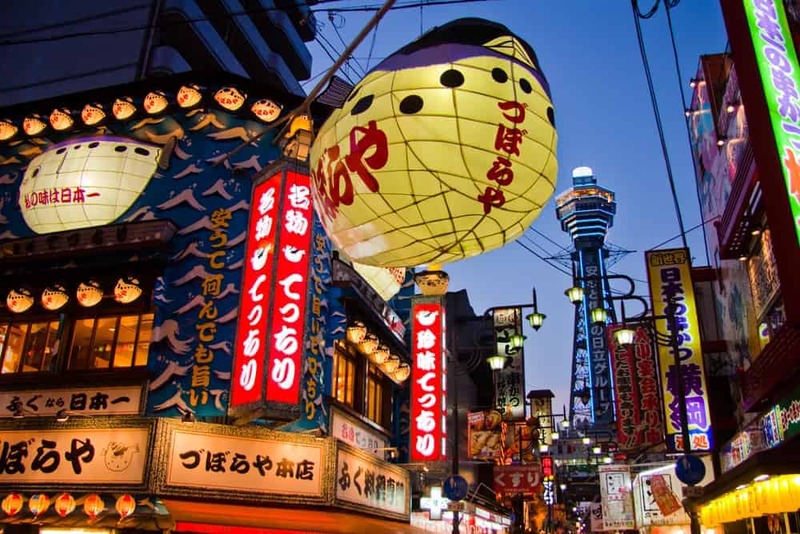 In addition, check out one of the more up-and-coming tourist areas – Shinsekai which is just visually stunning and surreal beneath the presiding backdrop of the iconic Tsutenkaku Tower. The Tsutenkaku Tower visible above the neon of Osaka’s night scene. I love Mie-ken on the main island of Honshu in Japan. It’s a wonderful countryside laidback state. It’s nothing like Tokyo, Osaka, or Kyoto. 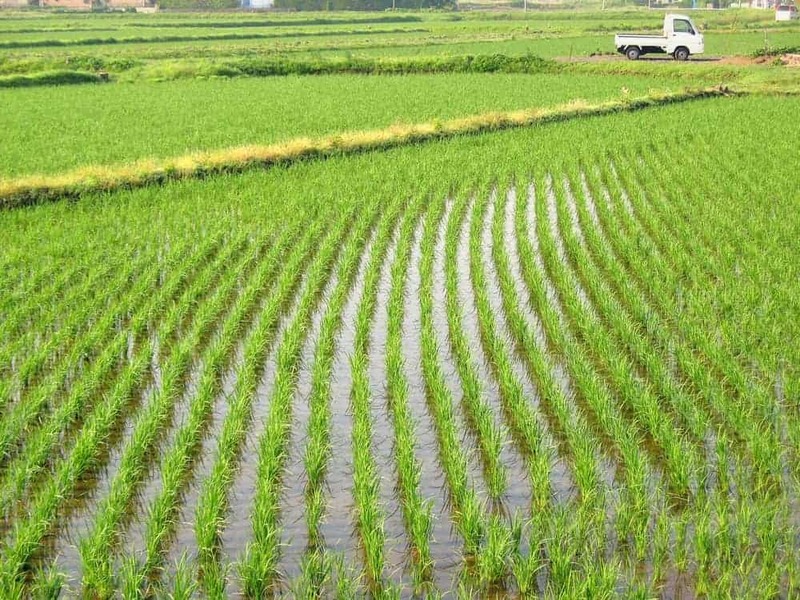 I remember seeing rice fields everywhere. Depending on the season, they could be flooded, filled with snow, with tiny green sprouts coming or with long golden rice plants. People would be working on them all covered, despite the summer heat. There are big temples, the most famous being in Ise. It’s huge and so peaceful! For the beach, go to Goza Shirahama Kaisuiyokujo, in Ise too. Stunning clear waters and white sand can get it crowded, but it’s worth it! The big aquarium in Toba is also fun for all ages. If you’re there during winter and like skiing, head to Yunoyama! The cable car is terrifying, though. The most famous city there is Suzuka, due to the F-1 circuit. 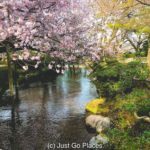 It’s great even for kids, because of the F-1 theme park there, called Motopia and beautiful parks, like the gorgeous Flower Park (it’s even prettier during cherry blossom season!). It’s a great place for every kind of traveler! 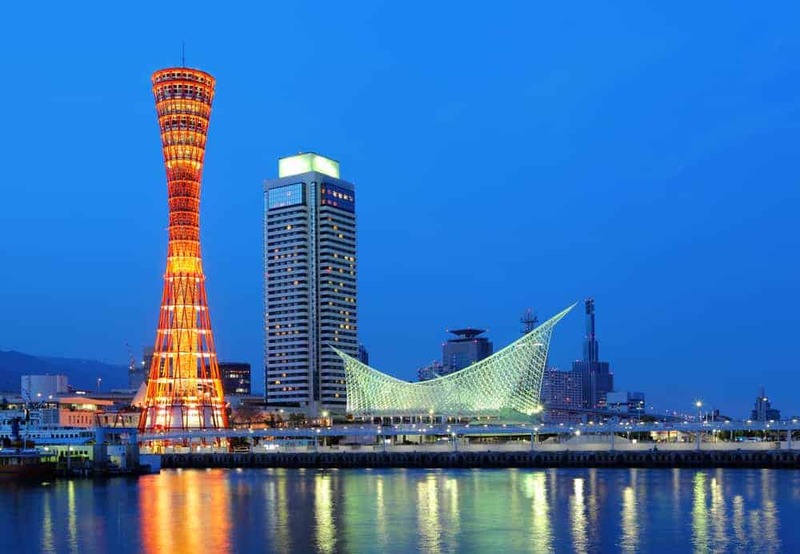 Kobe, Japan is the sixth largest city in Japan only 30 kilometers away from Osaka. The city is well worth a stop on any Japan itinerary. It is home to the iconic Kobe Beef, where you can easily find and enjoy a piece of it for a reasonable price. Besides eating the famous beef you can also venture around one of Japan’s oldest shrines, Ikuta Shrine or visit Arima Onsen behind Mount Rokko. If you’re interested in Sake then a trip to a sake brewery should also be on your itinerary. Hakutsuru Sake Brewery Museum is a great one to visit in the city and is a great introduction to the delicious Japanese drink. Honestly, Kobe has all the touristy things you can do in Tokyo and Kyoto available, but with far fewer tourists. I absolutely loved my time in Kobe. Like most Japanese cities, Kobe is easy to get to by rail and is well connected with Osaka. 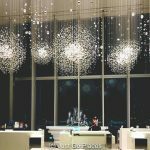 The Kii Peninsula is the largest peninsula on the main island of Japan, Honshu, and there are many reasons why it should be on your Japan itinerary. I spent a week in Kyoto and Osaka last year and have plans to travel back there again in the future. The Kii peninsula looks like a really great place to discover a more off-the-beaten path Kansai. It’s a cool story with the rocks isn’t it? Ise is beautiful and so is Mie. It really is off the foreign tourist path though so it’s not surprising you haven’t heard of it before. 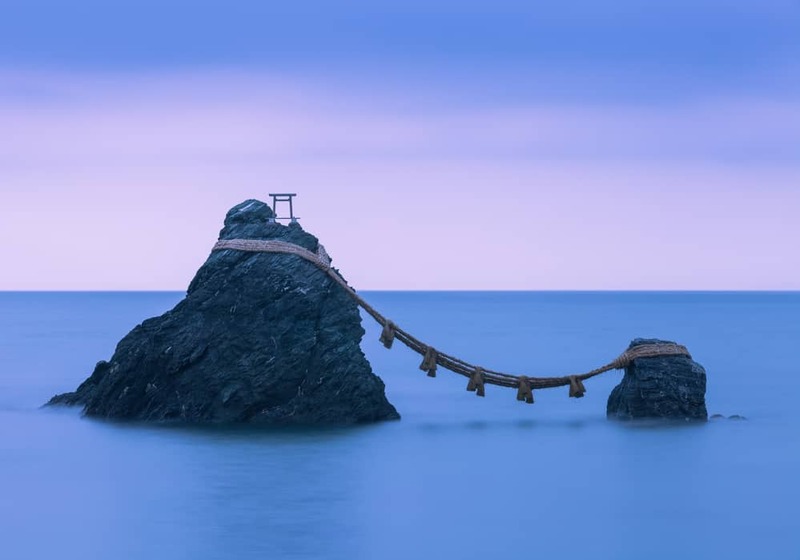 Had never heard of the Kii Peninsula before would love to visit next time I’m in Japan. Nara has been on my wish list for a while though because I would love to get close to those cute deer! In addition to Nara, you can get close to the cute deer at Miyajima Island (in Hiroshima Harbour), too!